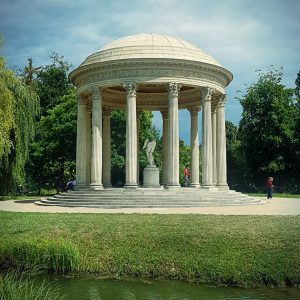 I got to go back to Versailles and this time I decided to explore the gardens, the Grand Trianon, Petit Trianon and Marie Antoinette’s Estate. The palace gardens alone are so huge, it took me several hours to wander through! All throughout the gardens classical music is playing, which gives it such a lovely atmosphere. And I happened to be lucky with the weather as well. Not too hot, not too cold, nice and sunny but not overly so, it was just perfect for a long stroll through the gardens. And what lavish gardens they are! From the gorgeous orangerie over a plethora of smaller gardens with fountains and statues, absolutely stunning. I could have easily spent a whole day here, the opulence and grandeur are just superb! 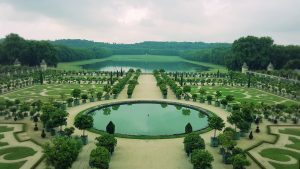 After wandering for several hours, I finally made my way to the Grand Trianon and the adjacent gardens, which are quite large as well, but not quite as opulently extravagant as the Versailles gardens. Still, they are vast, very well maintained and beautiful. 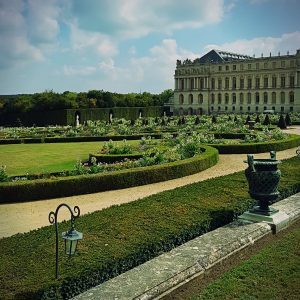 The gardens of the Grand and Petit Trianon are connected and while the Trianon buildings are quite nice to see, the gardens are the true highlight here. 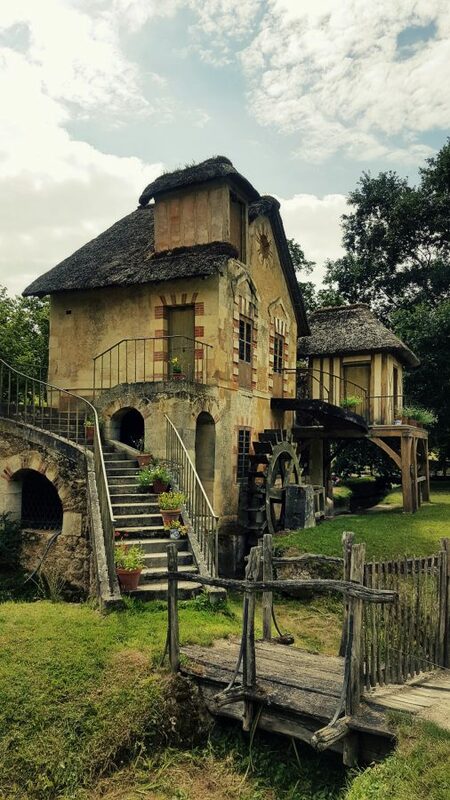 Especially the Queen’s Hamlet and Petit Trianon estates are just gorgeous! Beautifully maintained parks with a few pretty buildings, statues and landscaping features. All in all I spent a full day in the gardens and estates and am absolutely stunned by the beauty and vastness of this wonderful spot! Five out of six rainbow sloths for the Versailles and Trianon gardens!